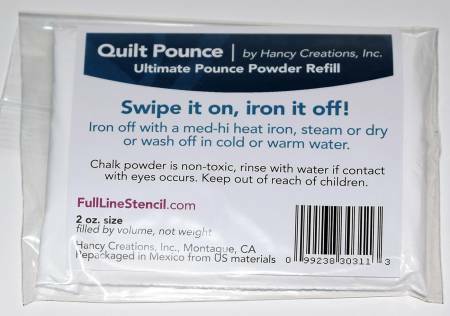 Just pounce on powder, then iron it off! This powder stays put, no more bouncing. Pounce Refills come in an easy-to-use zip bag. Just remove the cap plug and pour into the reservoir. Easily washes off with water. Keep from direct heat or sunlight.